UPDATE: Thank you to everyone who donated to our Diagnostic Fund on #GivingTuesday 2018! You helped us to raise nearly $4,200 for pets in need. Imagine knowing something is wrong with your pet, but being unable to find out what it is. This is the reality of countless community members who, just like you, love their companion animal – but the costs of medical testing during an emergency are simply unaffordable. FACE provides financial assistance to pets in need of emergency veterinary care. Our resources are limited to funding life-saving procedures and treatments after a pet receives a diagnosis. In 2018 alone, FACE has received 100+ calls requesting funding for tests like ultrasounds, x-rays, and blood work. Without the necessary funds to pay for diagnostic testing, pet owners are stuck in limbo- they don’t know what’s wrong with their beloved pet and can’t identify the best treatment to potentially save them. 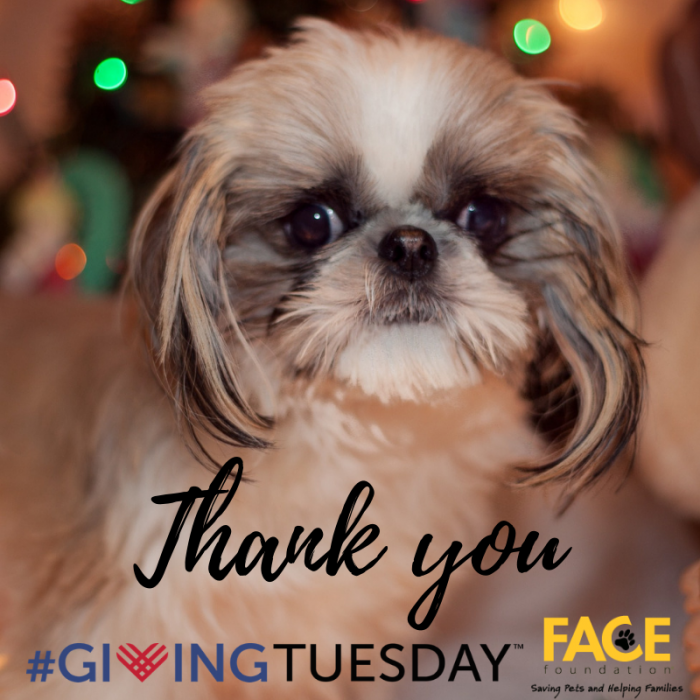 Please support FACE this #GivingTuesday by supporting our Diagnostic Fund, and thank you for your support!